Fearnley painted this finished composition from nature in September 1832. 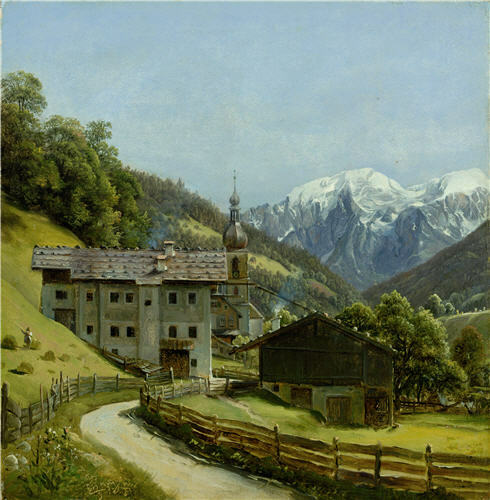 The artist was travelling to Italy when he stopped at the village of Ramsau, high in the Bavarian Alps. His broad and fluid technique allowed him to work rapidly whilst still capturing minute detail. Here he also succeeds in conveying the intense alpine light. Fearnley was born in Norway, but studied abroad, particularly with his fellow countryman Johan Christian Dahl (1788 – 1857). 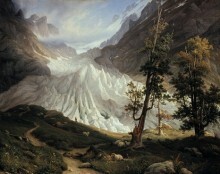 It was from him that Fearnley adopted the habit of painting directly after nature.